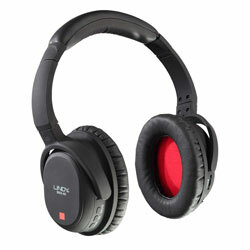 Lindy have thankfully – and quite rightly – turned their attentions to Bluetooth connected headphones, applying the company’s excellent noise-cancelling technology to wireless equipment. 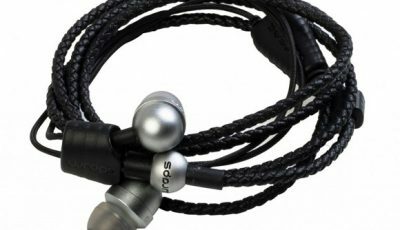 And that’s the first thing to say about Lindy’s BNX-60 headphones: they offer the reliable quality of a recognisable brand with the convenient ability to connect to Bluetooth-enabled technology (whether you’re watching films on your iPad or listening to music on your iPhone or android device). Distinguished by the fact the BNX-60’s utilise Lindy’s advanced aptX® technology to deliver noise cancelling characteristics, these mid-priced, smart-looking headphones are ideal for watching films “on the go”. The first thing that strikes you about the BNX-60’s is the stylish red padding on the inner ear cup that cuts through the faded black plastic of the outer cups and the comfortable leather over-ear pads. These headphones aren’t designed for those that want to supplement their wardrobe with standout headgear but for users desiring the more direct pleasures of high quality sound production and exterior noise limitation. And with the snug fit of the leather ear pads against your head adding further isolation from exterior noise, the BNX-60 headphones provide a leading example of noise cancellation at this price (the headphones retail at £89.99). 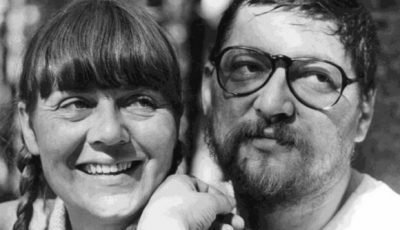 Of course, for me, the whole idea of our “films on the go” strand is how they shape up in the real world. In this case the daily commute. 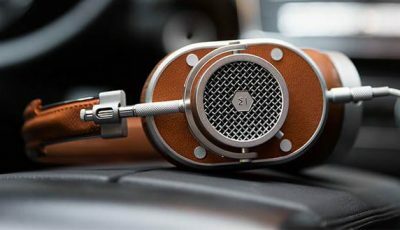 The Lindy’s are the sort of over-ear headphones that blend in rather than stand out. However, if you’re looking to match them to an outfit, a tailored suit with the Lindy’s is particularly fetching! With the general chitter-chatter on the train into work I was confident in my new Lindy’s. Turning on the Sky series Billions on my iPad, I tuned into the Bluetooth and got going with episode one. 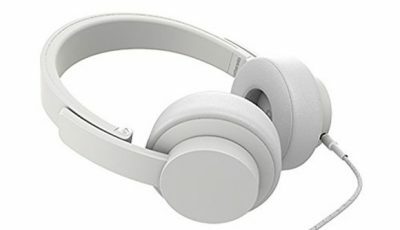 The first thing to say is that the headphones provide a comfortable over-ear fit with external noises such as nearby chat already fading into the distance. 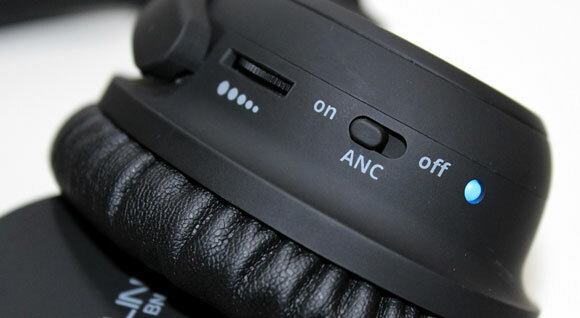 Switch on the noise cancellation feature and you’re quickly immersed in the film or TV show at hand. 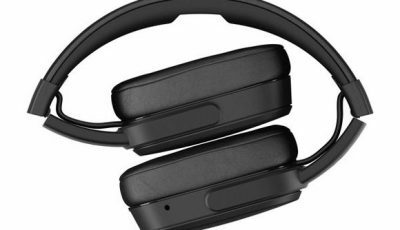 The combination of the over-ear leather pads and Lindy’s advanced aptX® technology reduces, states the company, “your exposure to external low frequency noise by up to 85%” and I’d be hesitant to disagree. 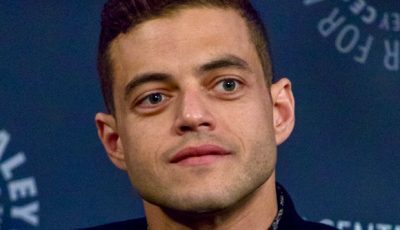 Partly because Billions is so good (and Paul Giamatti and Damian Lewis are so infinitely watchable) but mainly the Lindy’s ability to keep the sound you want in and the sound you don’t want out, I very nearly missed my stop I was so engrossed. Okay, so the BNX-60’s can’t quite compete with the daddies of the ANC world such as Bose’s QuietComfort 25’s but the 25’s cost nearly three times as much. Lindy have concocted a comparatively budget-priced competitor that does the job. 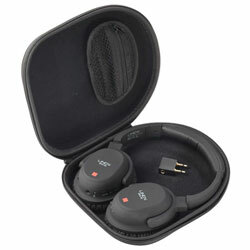 Couple that with the fact – unlike some more expensive products – the BNX-60’s are wireless and utilise the aptX codec which provides better compression than bog-standard Bluetooth. Being hyper critical you’d say Lindy has perfected its soundstage in the low to mid-range with the ANC being switched to the “on” position providing a more pleasing, immersive experience – especially for the film/TV watcher. I didn’t test the headphones with much music as the real reason for using them is for the commute to and from work watching movies. But the quick tests on a range of songs – from 1960s rock n roll to brand new pop hits – proved that the Lindy BNX-60’s are a perfect choice for those preferring to drift into a dreamy wonderland via music rather than film on the way to work. Watching Billions, and later action sci-fi classic Independence Day, I found the headphones provided a solid level of low-end bass with the ANC switched on. 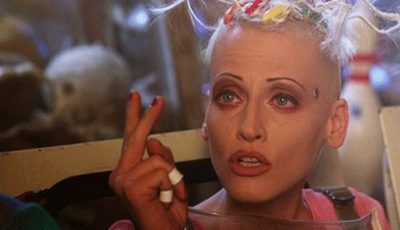 The sounds of Will Smith and co’s fighter jets attacking the alien spacecraft erupting with rumbles and explosive hits while dialogue remained clear, crisp and evenly produced within the soundstage. 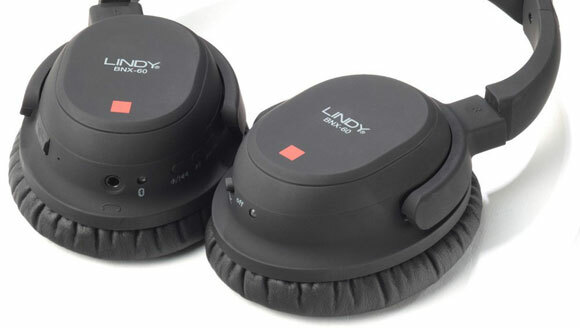 For those that want some excellent, affordable noise-cancelling headphones with wireless Bluetooth capability, the Lindy BNX-60’s are a fine choice and my number one recommendation in the £50 to £100 range. I want a pair. These sound like the sorts of headphones I was looking for. And a great price too.